Seven super sight word games! I have a war in my kitchen with trying to keep as much processed food and added sugar away from the lunch boxes. I’m definitely not anti sugar but with the amount of sugars that are added to our foods I would like the boys to have a good balance in their diets. It seems at home they scream for snacks and sugar so this puts my mind to rest that there are good foods in their bodies during the day and they have no choice but to eat up or eat nothing! I still have a fair way to go…but I’m feeling confident we are creating a great start for the kids. My husband and I have a deal where he makes sandwiches/wraps and prepares the fruit and vegetables the night before and I pack all the other stuff the next morning. I can’t stand making sandwhiches in the morning while getting the kids ready! Having my husband help also gives me peace of mind for when our third arrives in August that everything may not go completely out the window! I have also found that lunchboxes with compartments make lunches easier and cheaper for me to manage. If I can open the lunchbox and see all the compartments I can see what I need to add straight away. In this way I can buy big packs of pretzels which I split into their lunches over the week. Thus also following a ‘green’ initiative where there is less packaging used daily too! 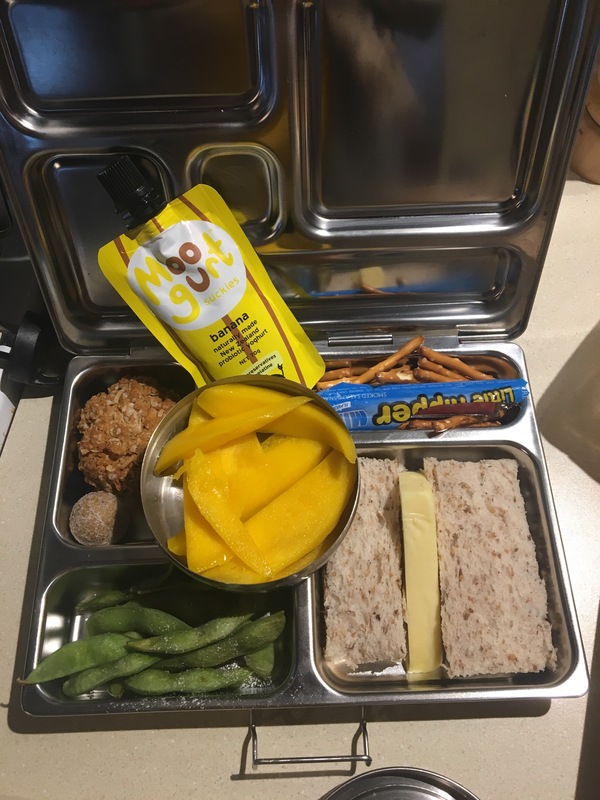 These lunch boxes I use were introduced to me by my mother in law and have been amazing, quite an investment but a family friend has used these right through the school years for her kids. There are lots of lunchboxes in this style out there now and can be very reasonably priced too! So I have managed to conquer the time and money challenge with careful planning and preparation however the allergy challenge is a difficult one. In so many blog posts they add it’s great for children to have nuts and/or eggs in their lunches, but in the younger years our children cannot take these as there are other children with allergies. So I am still hunting for ways to add these proteins into the lunchboxes without putting any other children at risk. I will keep you posted…and as for my own lunches? Let’s just say one battle at a time! I am a self confessed boring eater so marmite and cheese on crackers is putting in a big effort for me! My husband freaks to hear me say if there was a pill for each meal I would take it as I find eating a bit of a waste of time! Maybe I should start packing my own healthy lunch at the beginning of the day 😂. No way making two lunches a day is enough! 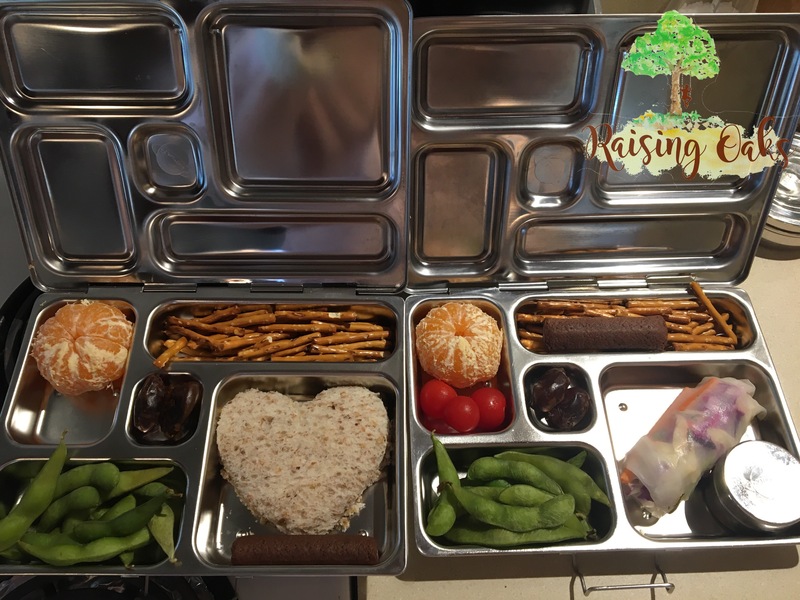 Ps Share with me your lunchbox ideas your kids love, I would love to hear what you are doing!